Does anyone really like the Apple Watch? It seems so, with a massive 97 percent customer satisfaction rating, according to Wristly. ''That's just Apple fanboys defending their expensive purchase,'' I hear you say. Maybe. But one fact is very clear: Apple has absolutely destroyed Samsung’s smartwatch market share overnight. There has been much debate recently about the Apple Watch's success. With a massive spike in early sales followed by a pretty dramatic drop off, there was speculation that it was a flop. But as we know, most Apple fans tend to buy early, so this actually makes perfect sense. But what about Samsung, with its relatively large range of smartwatches running Android Wear and Tizen? How do those devices stack up against the new offering from Apple? Samsung has been selling smartwatches for years while Apple has only just produced its first-generation device. This may not look good, but it's still a whole lot of Apple Watches. / © Slice Inc.
You can put the Apple Watch's success down to whatever you like, but it is indeed a success. The smartwatch industry itself is also booming - analysts have identified a 450 percent increase in the market since this time last year. To put this in perspective: more smartwatches were sold in the second quarter of 2015 (about 5.3 million) than in all of 2014 (around 4.6 million). This growth can only be attributed to the Apple Watch. 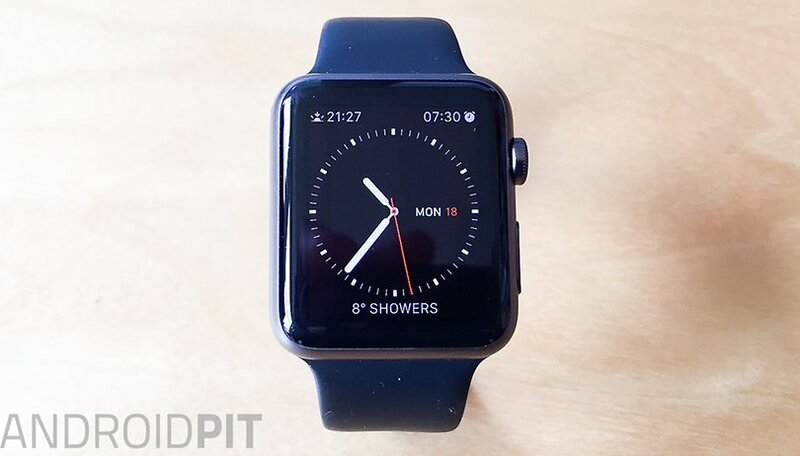 Eighty percent of the smartwatches sold so far in 2015 have been sold by Apple (4 million). This figure comes direct from Strategy Analytics, but has been echoed by other industry watchers, although some estimates are closer to 2 to 2.5 million. Not surprisingly, Apple hasn't released official sales figures for the Apple Watch. Let's take a closer look at the revolution brought about by the release of the Apple Watch. This time last year (Q2, 2014), Samsung was the clear frontrunner in the smartwatch market, with a massive 73.6 percent market share. But that was a market that didn't yet include the Apple Watch. One year on, the Apple Watch is still a relative newcomer, but the tables have turned dramatically: Apple now occupies 75.5 percent of the market and Samsung's slice of the smartwatch pie has dwindled to just one-tenth of what it was previously (7.5 percent in Q2, 2015). It is important to remember that this is a relative perspective. Just because Samsung now has less than a 10 percent market share, that does not mean it has failed on the smartwatch frontier. A 75 percent share of a tiny market last year may not be significantly worse than an eight percent share of a massively booming market this year. Having said that though, Strategy Analytics has Samsung's sales dropping by around 50 percent year-on-year. Not only does Apple enjoy a huge share in an explosively growing market, but it also has the high prices to make the most of it. We've seen the ripple effect of the Apple Watch's success in the price drops of the Asus ZenWatch, Sony Smartwatch 3 and Moto 360, all down to just US$150 from US$199, US$250 and US$250 respectively. What comes next for Android smartwatches? Even with these reductions on already-low price tags, the Android Wear smartwatch market has simply failed to capture the attention of consumers. Whether this is the platform's fault or that of the manufacturers, we can't say. But it must sting to see Apple create a market virtually overnight, one that Google has unsuccessfully nurtured for years. The silver lining is that the smartwatch is now officially a thing, and this widespread public acceptance will drive innovation and demand, on both sides of the OS divide. Whether the Apple Watch is a flash in the pan or a long-term product, it is too early to say. But the onus is now on Android Wear to become a more compelling platform and for Android-based manufacturers to add more value to what has, until now, been a relatively uninspiring product category. What are your thoughts on smartwatches? Do you think Android Wear will rise to the challenge? The smart watch is a ridiculous gimic that still doesn't have a purpose. I've got an LG smart watch and apart from the initial couple of weeks of excitement its basically been gathering dust for the last few months mainly because it doesn't have a purpose beyond telling me what my phone already tells me. The other problem is battery life, a normal watch is far superior for telling the time because it doesn't need to be charged up every day! I often use my Moto E as a WiFi router in several devices like my tablet and laptop. But I am always concerned about safety of my password. How can I restrict the Wi-Fi hotspot connection to only allow devices by their Mac address created by Moto E, just like a Samsung Grand? So that less than 20% of the market is almost Apple owned, they would not buy from others, that is great for the company, but this is ANDROIDpit, and readers do not care about that kind of overpriced products that despite the hype you can buy Android or ChromeOS or GNU/Linux powered devices with similar performance for almost half the price. Maybe the author doesn't understand the word "destroy." I see no where within the article where the Android Wear market was destroyed. It seems to be chugging along just as it was before the Apple Watch came along. Or was the word Destroyed used in a Yellow Journalism way just to get clicks? Pulitzer would be proud. Yeah, I hear Samsung is going out of business all because of the Apple Watch. What a monumentally stupid article. May be, since the watch was new it sold very well and once users got good reviews, the sales dipped. However new android wear or samsung watches are on the horizon and will be sold in a decent rate till the next iWatch is released. So overall I would say that this war is neutral. Purely IMO, no offense to anyone.